Varkala is a coastal town and municipality in Thiruvananthapuram district situated in the Indian state of Kerala. It is the suburban town of Thiruvananthapuram . It is located 50 kilometres north-west of Thiruvananthapuram. 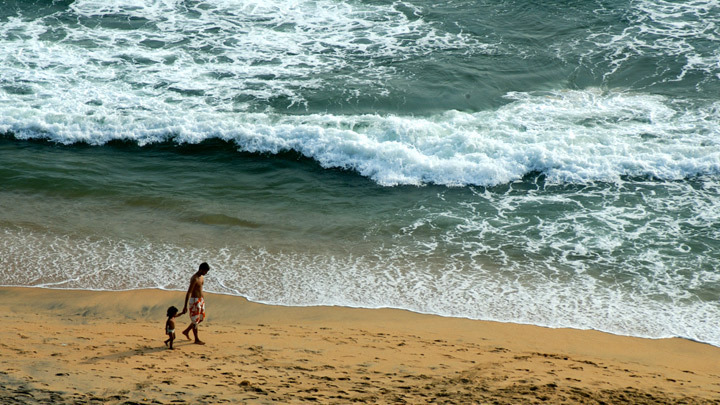 Varkala is the only place in southern Kerala where cliffs are found adjacent to the Arabian Sea. After breakfast proceed for Varkala side seing.Major side seings are: visit to Sivagiri, Janardhana Swamy Temple, Vishnu Temples. . And overnight stay in the hotel. After breakfast proceed for Varkala side seings.Visit to the Papasnanam Beach, Kappil Lake, Ponnumthuruthu Island ( golden island).And over night stay in the hotel. After break fast check out from the hotel.Which is 42.8 km away from the varkala and may take 1 hours 22 minutes drive. Drop you at Trivandrum airport / railway station for your return journey. Tour ends with a smile and sweet memories. 3. If offered hotels are not available at that time, mykerala tours will book and give almost similar category hotels with your permission. 6. Normally vehicle is available from 8.30 am to 6.30 pm. We never recommend night drive on safety point of view. 8. In deluxe a/c houseboats, a/c will be operated from 9 pm to 6 am in bed rooms. 11. The service / quality complaints of houseboats, if any should be raised on that time itself, then only Mykerala tours can correct the same. 12. Cancellation of all packages with the panel hotels ( listed in our websites ) is subjected to the cancellation policy of Mykerala tours , which is exhibited in the website. 4. No refund for any tour cancelled without 7 days notice period.